Got wood? Yamaha’s latest Yard Built custom has plenty of it, and looks amazing. 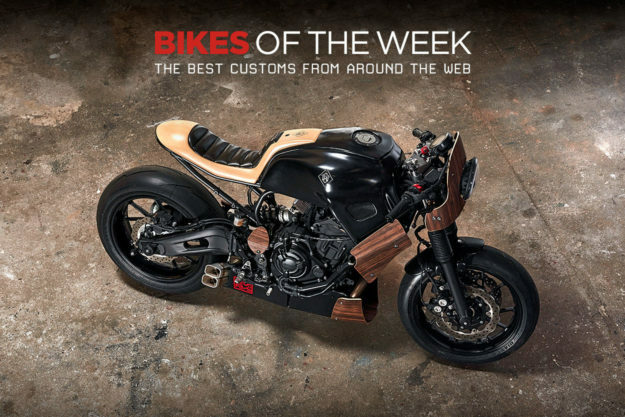 We’ve also got a super-tough Honda CBX1000 streetfighter, a Mobylette cafe racer (yes, really) and a Harley-Davidson Softail Springer with a salt flat drag bike vibe. Enjoy. 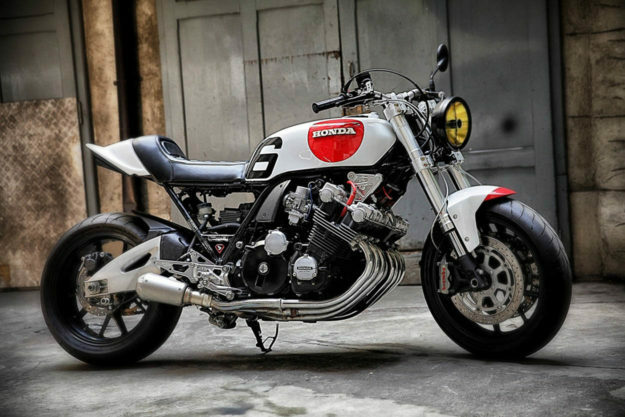 Honda CBX1000 by Tony’s Toy Custom Motorcycles The man behind TTCM is the former Italian and international race champion Tony Calasso. 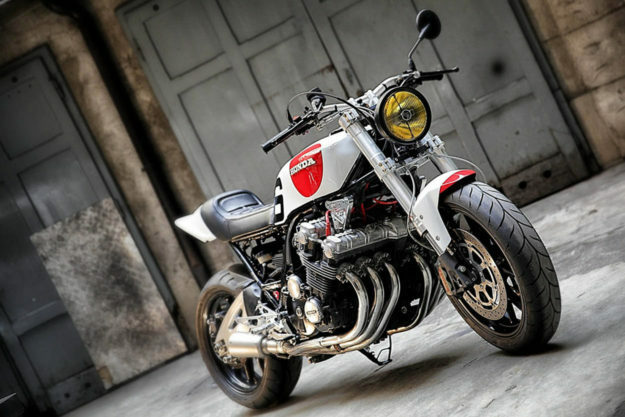 Not surprisingly, there’s a definite performance focus to the builds that rollout of the Milan shop. 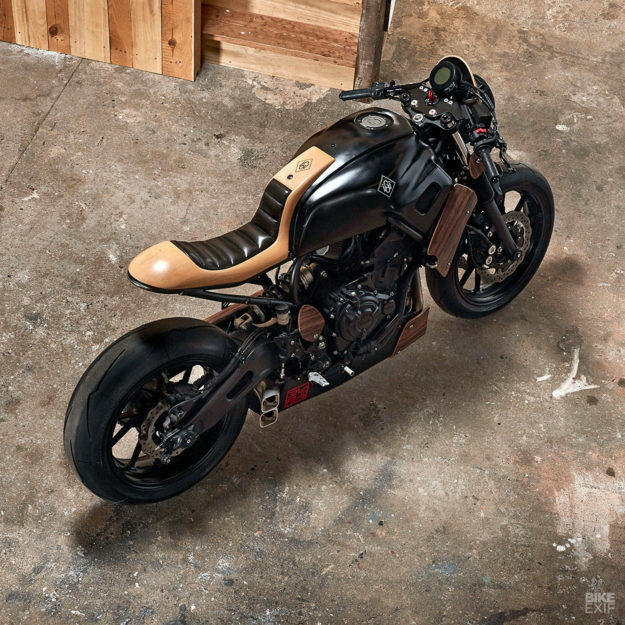 Yamaha XSR700 Yard Built by George Woodman We’re seeing more builders using wood these days. And when it’s applied tastefully, it can soften a rugged look in just the right way. George Woodman is one of the pioneers of this trend, and his new Yard Built XSR700 has us pining for more. 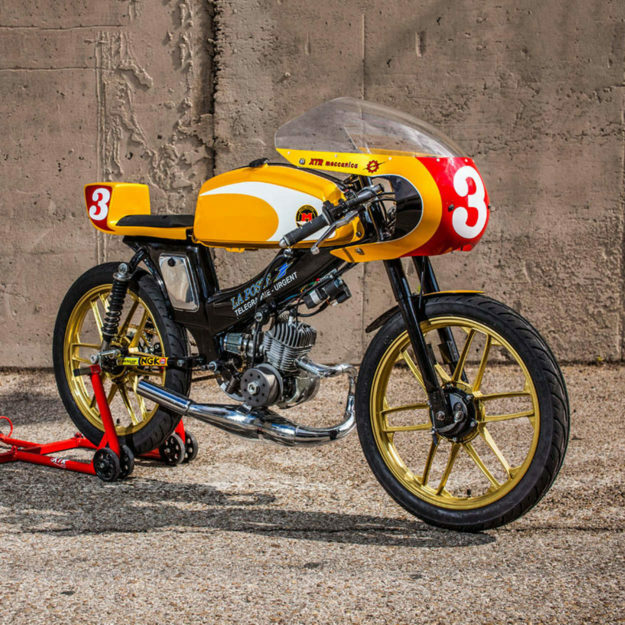 Dad jokes aside, the Biarritz-based Frenchman has truly elevated his game on this latest build. Combining elements from Yamaha’s musical and motorized arms, the wooden elements on ‘Hanko’ are inspired by the Revstar range of electric guitars. 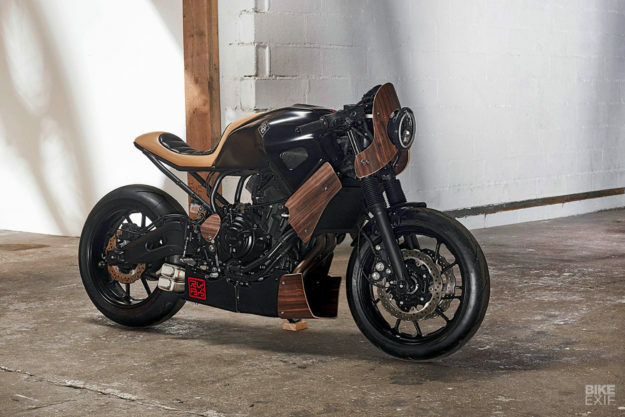 The entire rear end has been carved from a solid block, and Macassar Ebony has been shaped to form the front fairing, radiator and chain covers. To change things up a bit, Woodman turned to DuPont’s Corian material—most commonly found on kitchen benchtops—to form the tank cover, fender and belly-pan. 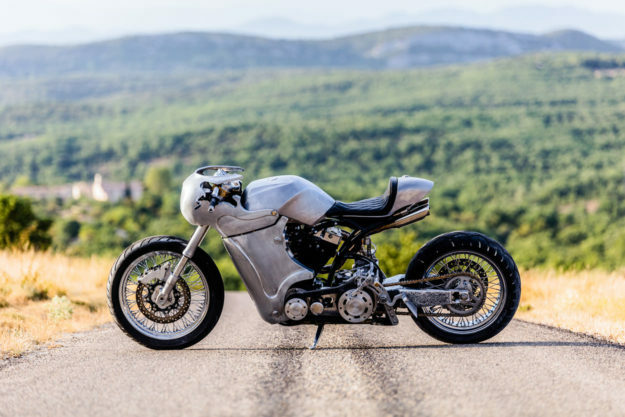 Mobylette by XTR Pepo If you grew up in France in the seventies this latest XTR Pepo project will undoubtedly strike a chord. It pays homage to les factuers—the French postal workers who made their deliveries riding yellow Mobylette mopeds. Called ‘PTT,’ this is Pepo’s ‘GP’ version. 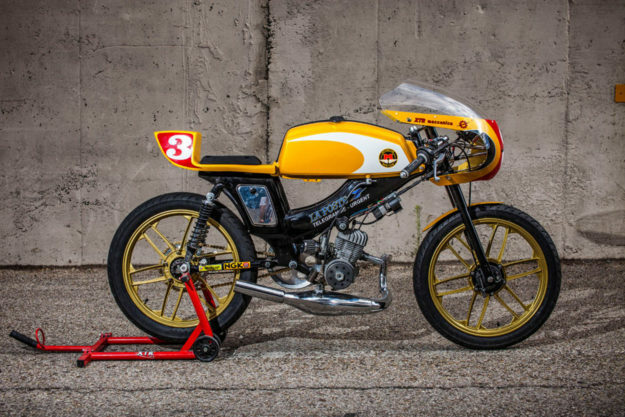 To match the endurance racer looks that Rossell is famed for, the Mobylette SP90 motor has been boosted to five times its original oomph. A 70cc overbore kit was fitted, along with a balanced and lightened crankshaft. Then expert hands tuned the Amal carb to crank out ten horses at every crack of the Domino quick-throttle. Of course, with such a high-speed machine, a racer’s tuck is a must. So Pepo swapped the bars for clip-ons, and a bikini fairing was bolted up. Benelli BN600R by White Collar Bikes Indonesia’s White Collar Bikes have dazzled us in the past with their electrifying craftsmanship and attention to detail. Ram Ram Januar and his tiny crew in Bandung have now turned their attention to a 2014 Benelli 600, and the results are exemplary. With the engine and frame left virtually untouched, Ram focused his attentions to crafting one of the smoothest monocoques we’ve ever seen. 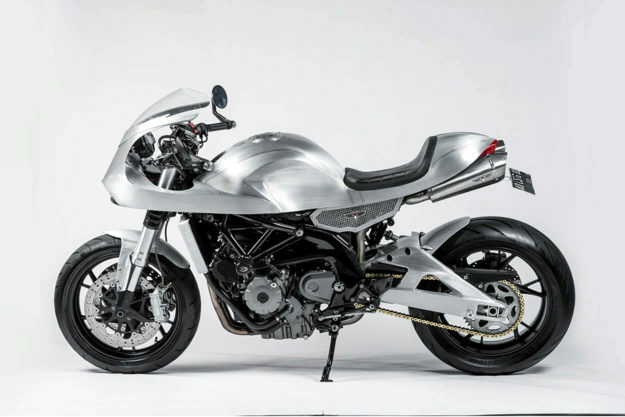 He took his time, refining the design via a clay model over the course of a month, and then hand-forming the aluminum. Another two months of manipulating the malleable metal would take place before it was finally welded and fitted on the Benelli. With no paint to hide any mistakes, the raw finish was a ballsy choice—but it’s paid off. Harley-Davidson Softail Springer by EMD Workers EMD Workers is a new name for us, but it looks like we’ll be hearing more about the workshop from Hossegor, France. 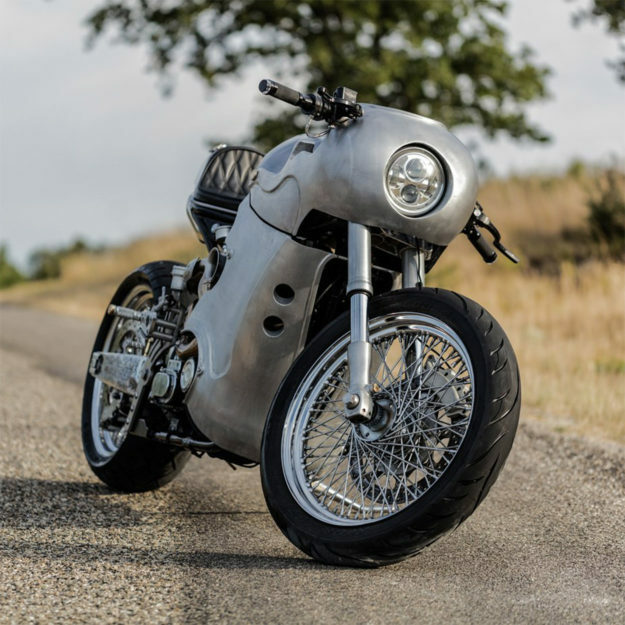 Co-founders Baptiste and Edouard have taken a brief break from their parts manufacturing business to build this sleek aluminum-clad Softail—part café racer and part salt flat racer. It’s a showcase for EMD’s fabrication skills, and les gars have those skills by the bucket load. There’s a complete new frame, for starters, with a GSX-R swingarm grafted on and hooked up to the stock Softail rear suspension links. 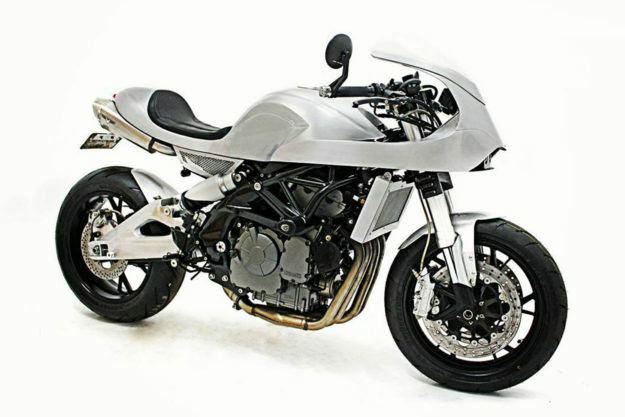 The forks are a modified set from a Kawasaki Ninja ZX-7R, with a new 6-piston caliper and Triumph disc. The 1340 engine has been upgraded to match, with an S&S carb, a Revtek hot cam, a punchy new ignition system and a snaking custom exhaust. 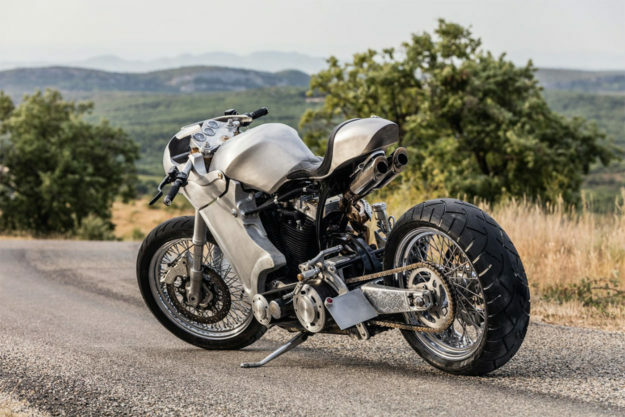 Power hits the back wheel via a three-inch drag-style open belt primary from Ultima.